Right from the very start, Wade and I knew we needed to get more vegetables into our diet but back then neither of us were big veggie fans. If you had put a Beetroot in front of me 10 years ago and suggested that I eat it, I would run a mile but these days Wade and I are both Vegetarians, so how did this change happen???? To cut a long story short, the best way we could find to achieve our vegetable eating goal was to start with juicing, we knew we had to eat (or drink) more veg and the only way we could think of making the taste more palatable was to juice the greens and mask the vegetable taste with tasty fruits. On reflection our dislike of Vegetables was a little ridiculous but I guess the juicing approach must of worked? Anyway, lets get down to today’s juicy business. These four are our main ingredients but we do add a little Ginger and Turmeric with most of our juices because it’s so good and the Ginger makes the whole experience a little more interesting. You are of course welcome to add these to your juice and anything else that you like. Note: Some of the ingredient above are marked Organic* we do buy organic whenever we can afford it but it’s not always available. Broccoli is something we always try to buy Organic, you can get Organic Broccoli in most big supermarkets these days and it happens to be one of the worst offenders for pesticide residue in its non organic form. Organic Limes are freely available in most supermarkets in the UK and as we like to use these (and lemons) with the peel on, we only buy Organic. 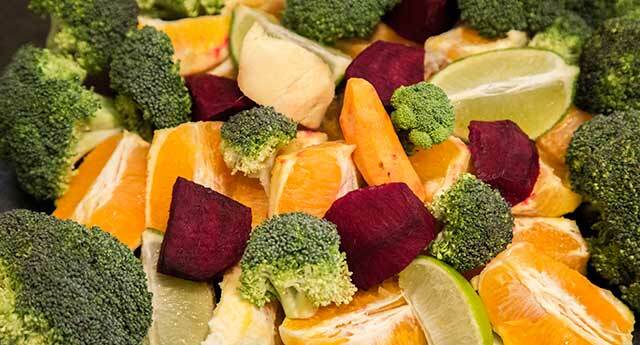 If conventional produce is the only option we remove the peel prior to juicing. 1, Take the Broccoli and remove the florets from the stalk with a knife and check them for any areas that are past their best. Place the florets into a colander and wash each one thoroughly under hot water to remove any potential nastiness. 2, Remove the top and the bottom of the beetroot and remove the skin with a knife or peeler, once you have removed the skin you can cut the Beetroot into 4 to 6 pieces depending on the size of the Beetroot so that it will fit into your juicer. 3, Peel the Oranges by either cutting away the peel with a knife or removing it by hand if you prefer. Cut the Oranges into quarters so they will fit into the juicer. 4, If you are using an Organic Lime you can give it a quick wash and cut it into 4 pieces, if you are using a conventionally grown lime it’s probably best if you remove the peel with a knife prior to juicing. You should end up with a nice pile of fruit and veg similar to that in the picture below, this is enough to make around a litre of juice but the yield depends on the size of your produce and the type of juicer you are using. I’ve taken the trouble of producing a little video for you, there’s no real technique or special order you have to juice the produce in but the video is here anyway just so you can get an idea of what I’m doing, part of the video is sped up to shorten it’s length but in total it took around 6 minutes to make this juice. One thing I need to add here, in the video you can see some juice leaking out of the back of the juicing screen where it meets the body of the juicer, this is due to me forgetting to replace the rubber seal that I removed earlier when cleaning the juicer and not a fault with the machine. I don’t really need to tell you that this is going to be good for you! 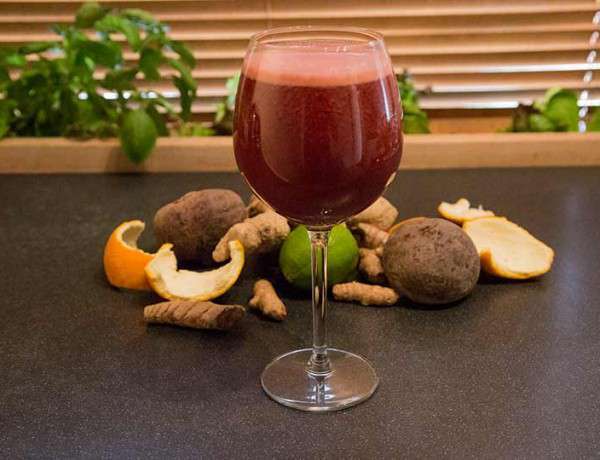 It’s common sense but as we like to keep you informed and keep up to date with the very latest studies, here’s the lowdown on what this tasty nutritious juice could do for your health and more importantly your arthritis. 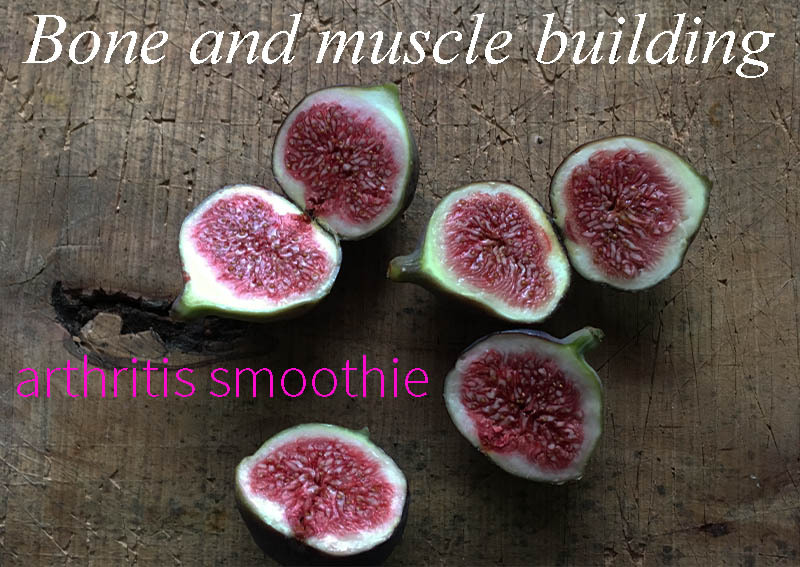 Let’s start with the Daddy of Vegetables, it’s powerful stuff and not just for Arthritis! It’s recently been discovered that a compound in Broccoli has major implications in the fight against Arthritis, it’s name? Sulforaphane. Sulforaphane is a natural isothiocyanate present in cruciferous vegetables like Broccoli and Cabbage but it is found in higher concentrations in certain types of Broccoli. Sulforaphane has shown to be effective in preventing carcinogenesis, diabetes, and most importantly for sufferers of Arthritis, inflammatory responses. Another study which you can see here studied the effects of Sulforaphane on Rheumatoid Arthritis and concluded. A further study published by researchers in Arthritis & Rheumatism on behalf of the American College of Rheumatology found that Sulforaphane also known as SFN…..
SFN inhibits the expression of key metalloproteinases implicated in osteoarthritis, independently of Nrf2, and blocks inflammation at the level of NF-κB to protect against cartilage destruction in vitro and in vivo. Several studies have recently been carried out on the benefits of Sulforaphane on Arthritis and it is believed an English pharmaceutical company have now perfected a treatment which they plan to bring to market in the near future. This is great news for arthritis sufferers but we shouldn’t ignore the other benefits provided by a healthy diet and lifestyle. A lesser known Vegetable in the fight against Arthritis but a powerhouse of antioxidants and anti inflammatory compounds, beetroot is good for many of the body’s systems including the heart, the blood, the liver and the kidneys. Beetroot can help to reduce inflammation and oxidative stress as shown in the following study and also in this further study here which went on to say. A 2012 study in the British Journal of Clinical Pharmacology noted the following conclusions when studying compounds present in beetroot and their effectiveness in combatting a range of thoracic problems. The humble Orange, a vitamin C powerhouse and one of the tastiest convenience foods you are likely to find. Orange peel has been shown to fight Arthritis in rats and a 2009 study shows that Citrus extract had a positive effect on osteoarthritis of the knee. In this pilot study, NP 06-1 had beneficial effects on symptoms of osteoarthritis of the knee as measured using LAI scores and had anti-inflammatory effects as measured using CRP. Administration of NP 06-1 was also associated with weight loss, which may have been a contributing factor to the other benefits. Recent studies carried out on the healing benefits of oranges have shown they contain a wide variety of phytonutrient compounds including citrus flavanones, hesperetin and naringenin, anthocyanins, hydroxycinnamic acids, and a variety of polyphenols. Plant derived polyphenolic compounds are well known for their antioxidant properties. Limes again, are similar to Oranges inasmuch as they contain high concentrations of Vitamin C, Polyphenols and other anti oxidants. Down the years Limes have been used to for everything from Scurvy to Skin care but their high concentrations of citric acid have been shown to break down Uric acid in the body helping to counter the inflammation that troubles Arthritis sufferers.